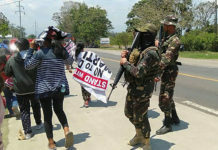 MALAYBALAY CITY (MindaNews/06 July) – After the Department of Education refused to heed calls for the pullout of government troops from schools for indigenous peoples in Southern Mindanao, Gabriela Rep. Luzviminda Ilagan and other groups have taken the issue to leaders of the influential Roman Catholic Church. In a statement, Ilagan said intensified military operations have disrupted the lives of the Lumad and the education of their children. She said she has voiced these concerns in a dialogue with Archbishop Romulo Valles, vice president of the Catholic Bishops Conference of the Philippines. 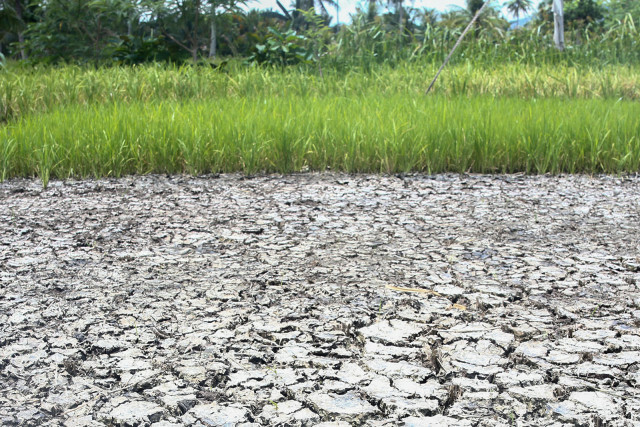 “Aquino’s Oplan Bayanihan and the Department of Education’s collusion with the military in its counterinsurgency operations have further deprived and impoverished indigenous communities. It is important for more sectors, specially the religious to express their support for the Lumads and their call to stop the attacks on Lumad schools,” she added. The lawmaker cited in particular the closure of schools being operated by the Salugpungan ta Tanu Igkanugon Community Learning Center and Mindanao Interfaith Services Foundation Inc. (MISFI) Academy MISFI in Davao del Norte. 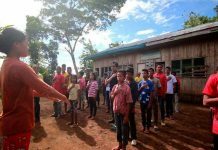 Ilagan and other progressive groups blamed the closure of the Lumad schools on pressure from the military which they said branded these institutions as “training ground” of the New People’s Army.